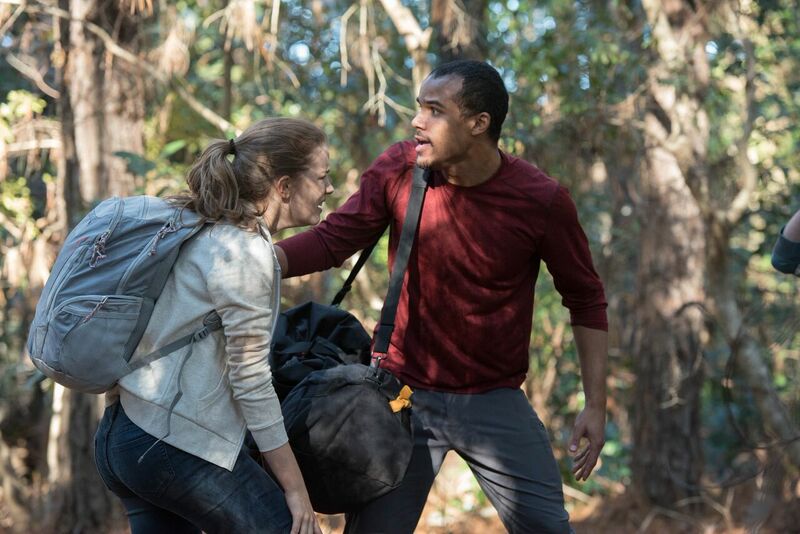 Willa Fitzgerald has inadvertently interjected herself into a deadly criminal chase in her upcoming drama, ‘Blood Money.’ In the latest clip from the thriller, the actress’ character, Lynn, discovers an unattended stash of money in the woods while she’s on a run. The video, which is titled ‘Run,’ is helping promote the film’s upcoming release in select theaters and On Demand on October 13 by Saban Films and Lionsgate. ‘Blood Money’ was directed by Lucky McKee, and written by Jared Butler and Lars Norberg. In addition to Fitzgerald, the drama also stars John Cusack, Ellar Coltrane and Jacob Artist. The thriller follows three friends who embark on a wilderness excursion together. They soon must work together to outrun a white collar criminal who’s hell-bent on retrieving his cash. But the friend’s greed turns them against each other. Saban Films and Lionsgate have released a new clip from director Lucky McKee's thriller, 'Blood Money,' which is titled 'Run,' and features actress Willa Fitzgerald.